Hide deals from seller "Chiropractic First of Rockford"
Limit 1 per person. 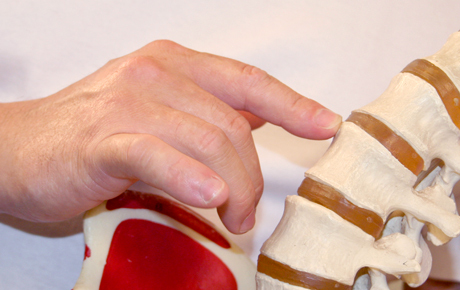 Valid on initial visit including posture exam, orthopedic exam, range of motion exam, heat scan and 2 region X-rays. Not valid with insurance. By appointment only; must mention voucher when scheduling. Promotional value expires 90 days after purchase. Advertising solicitation prohibited. Make sure you feel your best with this deal for 85% off an initial visit at Chiropractic First of Rockford ($256 value). Doctor of Chiropractic Jared Erdmier will perform a posture exam, an orthopedic exam, a range of motion study, a heat scan to determine the source of your ailments and two different region X-rays. As part of the Maximized Living network, Chiropractic First offers services designed to help people live healthy, fulfilling lives while changing the way healthcare is viewed worldwide. Their center will make you feel comfortable and at ease while treatments provide relief from ailments such as headaches, digestive problems, allergies and more. Dr. Erdmier and his staff focus on chiropractic services, detox and high-quality nutrition to help clients embark on a path to total-body wellness. Rockford branch of a chain of chiropractic centers dedicated to providing expert care.